Los Angeles is such a big city that people become extremely attached to their neighborhoods. In fact, all of the neighborhoods become mini cities in themselves, with distinct personalities and quirks. One thing that almost all Angelenos enjoy? Wine! Which is why we thought it would be fun to imagine some of LA’s neighborhoods as wines. Naturally, for such a creative piece, we called upon a creative and out-of-the-box thinking sommelier. Enter Matthew Kaner. Co-owner of some of Los Angeles’s best and most in-demand wine bars—including Bar Covell in Los Feliz, Augustine Wine Bar in Sherman Oaks, as well as Dead Or Alive Bar in neighboring Palm Springs. Kaner most recently opened his first restaurant endeavor, Good Measure: a wine-centric restaurant in the L.A. neighborhood of Atwater Village, adjacent to Los Feliz, Echo Park, and Silver Lake. Kaner is a Southern California native and a trusted and sought after sommelier. He has earned awards and accolades from publications both regionally and nationally—named one of Food & Wine magazine’s “Sommeliers of the Year” in 2013, voted LA Weekly’s “Best of L.A.: Best Sommelier” and most recently has been credited as one of the top “Sommelier Stars of Los Angeles” by Wine Enthusiast. It’s hard to say what Kaner knows better, Los Angeles or Wines, (ultimately probably wines) but this exercise certainly displays his depth of knowledge and great sense of humor. WeHo is a bottle of unctuous Chardonnay that makes your toes tingle. It has lots of flair that speaks for itself, and it will sneakily punch you over the head if you're not paying close enough attention. It reminds me of the Bourgogne Blanc bottling from Domaine Roulot. It’s Chardonnay perfection, which rolls down Santa Monica Blvd. during the pride festival showing itself off! Venice drinks like the sexiest bottle of Barolo you can find. A stand out for me is by my good friend and wine producer, Gianluca Viberti, and his winery 460 Cascina Bric is finally going to begin being imported into the West Coast. I’d describe it as a bit tannic, a bit of tar and roses on the palate, with acid present but it won't burn your esophagus. This is the Venice style. Atwater Village is sandwiched between the fiefdoms of Silverlake/Los Feliz and Glendale/Pasadena, and for that it makes sense to drink Scribe Silvaner (a hybrid grape found in Germany, Alto Adige region of Italy, and a bit in California) which is grown at a vineyard sandwiched right between Napa and Sonoma counties. 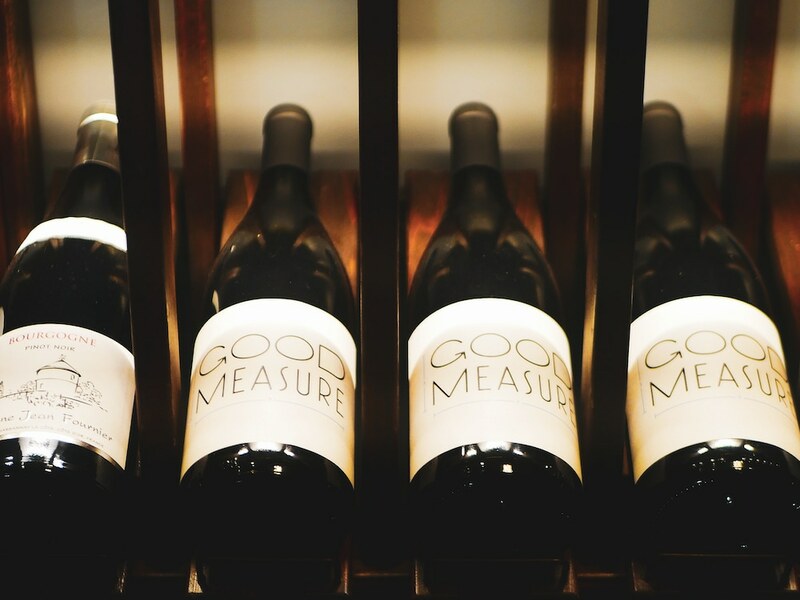 The Scribe boys are good friends of ours at Good Measure, and we love the wines they make out of their Sonoma Winery and Estate! It's a forever summer wine, and in Atwater Village, it’s a safe bet that we’d see nine months of summer per year. Know any bankers, commercial real estate developers or ex-professional athletes who struck it rich on the long play, and wanted their next move to be living by the beach? It's sort of like the people who founded all of our favorite Valpolicella houses in the Veneto area outside of Venice. Bertani Amarone della Valpolicella 2008 is a revelation. Wine made by the upper class, for the upper class—but they have the understanding to lock it up for years to come and make sure it will age for generations. Sparkling Rosé speaks to the core of Santa Monica if you ask me. It's like wearing rose-colored glasses and being carried up by Willy Wonka's bubble machine while staring out at the ocean and seeing the Ferris wheel. What more could you want? A glass of Feudi di San Gregorio "DUBL" Sparkling Aglianico. It has minerality, a delicate red fruit, and it's oh so clean! SaMo in a glass. The Valley reminds me a lot of Château Lafite-Rothschild, any vintage really! It's broad-shouldered, outward in its fruit and it wants to show off. It's not ashamed to be successful and opulent, just like many residents of the Valley.